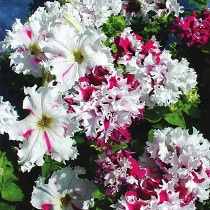 A group of traditional varieties with fringed flower edges. 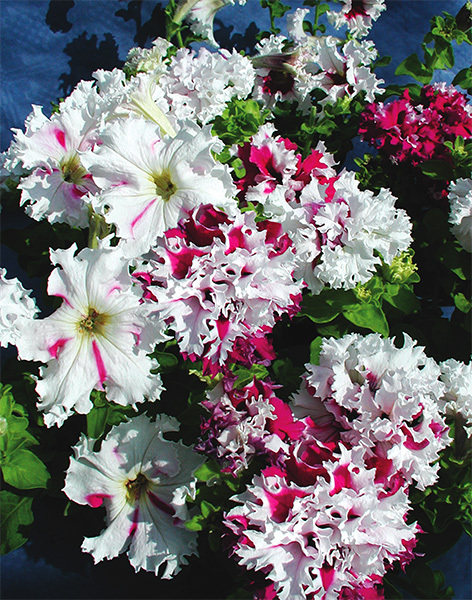 Thanks to the interesting colour combinations and full blooms, the “Pozdrav z Jaromere” variety ranks among the mainstays of our range. 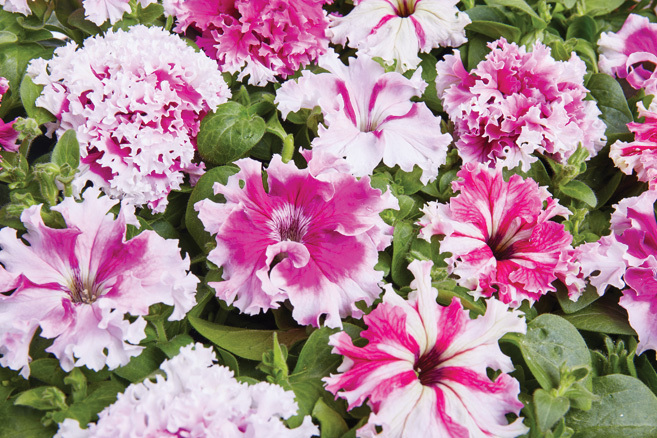 They are especially suitable for sheltered places. 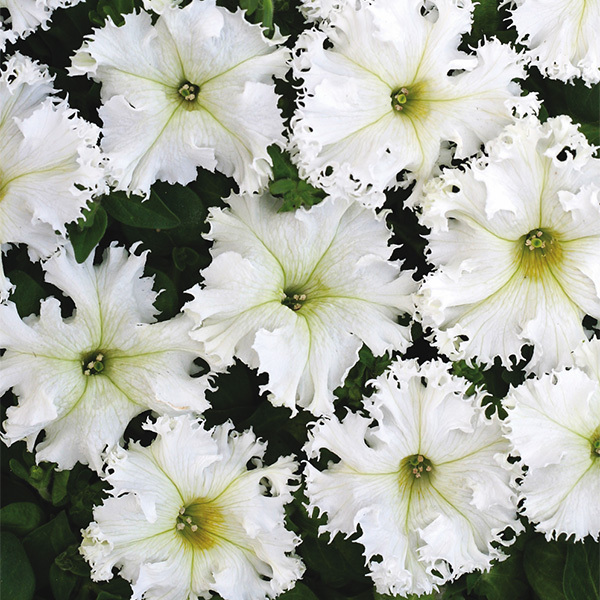 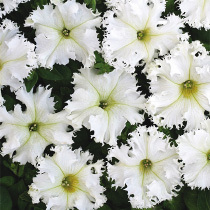 Large white flowers with corrugated and frayed edges, flower size 8 cm, plant height 35 cm, this variety is especially suitable for flower pots and boxes. 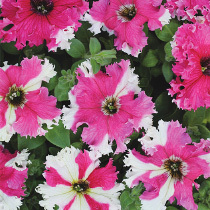 A variety with large flowers with corrugated and frayed edges, flowers 6 cm in diameter, beautiful colour, dark pink-violet spots and stripes on a white background, height 35 cm, suitable for both flower pots or boxes and flower beds. 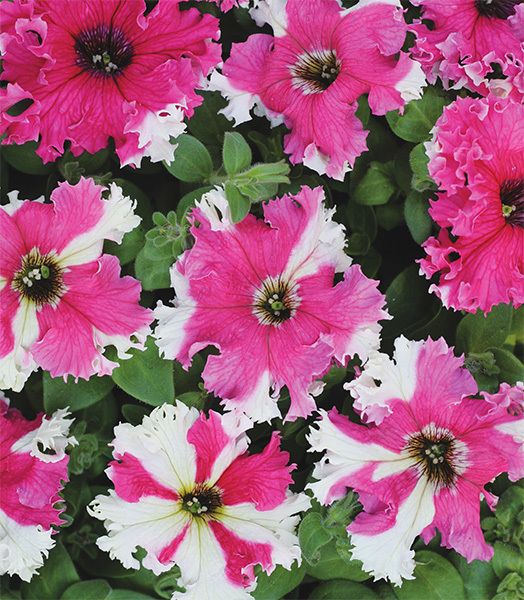 Large flowers 6–7 cm in diameter, pink and violet stripes on a white background, 50% of plants have double flowers, 50% of plants have single flowers, height 35–40 cm.